Sept.88 - June 92 D.A. in Music Therapy at New York University. Sept.76 - June 78 M.A. in Music Therapy at New York University. Sept..71 - June 75 B.A. in Special Education & Criminology at Bar Ilan University, Ramat Gan, Israel. 1959 - 1968 Music Diploma - Israeli Conservatory of Music, majoring in piano studies. 1994 -2009 - Member of the International Group of Qualitative Music Therapy Researchers. The group was established by Dr. Mechtild Langenberg, Berlin, Germany. 1979 - present - Member, I.C.E.T. - The Israeli Association for Expressive and Creative therapies. 1980 - present - Music Therapy Private Practice - Individual and group work with emotionally and neurologically impaired children and with normal neurotic adults; music therapy individual and group supervision. Sept.94 - June 97 - Music Therapy consultant for "Milman Institute" - a therapeutic center for autistic children and families, Haifa. Sept.90 - June 91 - Music therapy consultant for the Jewish Board for children & families, New York. Sept.80 - Aug.82 - Director of "Nitzan"-therapeutic center for learning disabled children in Tel Aviv. Sept.79 - Aug.80 - Group & individual music therapy in "Meir"- therapeutic center for emotionally disturbed children in Tel Aviv; group & individual music therapy in "Renanim"-school for severely retarded children in Chulon; group & individual music therapy in "The Therapeutic Center" for autistic & emotionally disturbed children in Rechovot. Sept.77 - Aug.79 - Coordinator of music therapy program at The New York Institute for the Education of the Blind, New York. Jan.76 - June 76 - Music Therapy group work at The Home for Crippled Children, Pittsburgh, PA.
1992 - present - Lecturer, senior lecturer and Associate Professor, full time position, Bar Ilan University - Head of music therapy program; teaching introductory & advanced level courses; supervising interns, Master and Doctoral theses and conducting clinical and research music therapy projects. 1979 - present - Workshops and lectures on music therapy to various groups of psychologists, social workers, special education teachers, music teachers and school principals all over Israel. 1992 - 1995 - Levinski College - Teaching music therapy colloquium. 1988 - 1991 - New York University - Teaching music therapy courses in the Masters Music Thrapy program; supervising interns and music therapy field supervisors. 1982-1989 - Establishing the music therapy program at the music department in Bar Ilan University. Lecturer, 75% position. 1980 - 1988 - The Israeli Arts Project in affiliation with Lesley College - Teaching introductory & advanced music therapy courses. Summer 1982; 1985 - Guest lecturer and group leader in Lesley College Art Institute, Cambridge, MA. 1984 - 1988 - Seminar Hakibutzim - Teaching music therapy courses in the Special Education Program. Summer 79 - Rubin Academy of Music, Jerusalem - Teaching a music therapy course as a guest lecturer from NYU. 1978 - 1979 - New York University - Training & supervising 7 music therapy interns at the New York Institute for the Education of the Blind. 2002 - Creating and supervising clinical and research project on: Music Therapy with Dementia and Alzheimer patients. Zahalon Hospital for Geriatric Patients, Tel Aviv. 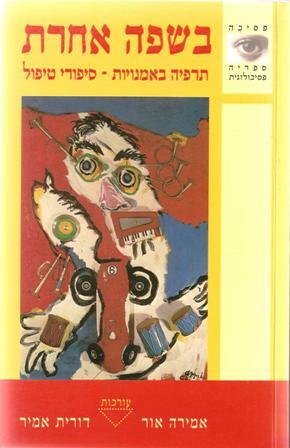 2000 - Humor in Music Therapy – a qualitative research, conducted at New York University (NYU) during my sabbatical year. 1996 - Creating and supervising clinical and research project on: Music therapy with children with Williams Syndrome. The Center for Child Development, Shiba Hospital, Tel Aviv. 1996 - Creating and supervising clinical and Resarch project on: Music therapy with patients who are awaiting heart transplant, in conjunction with Dr. Dan Aravot, head of heart transplant department, Rabin Hospital, Petach Tikva, Israel. 1996 - 1998 - Musical and Verbal Interventions in Music Therapy - a Qualitative research. The research was conducted in Israel and the USA. 1989 - 1992 - Meaningful Moments in the Music Therapy Process - A Qualitative Research conducted in the USA for Doctoral Dissertation, New York University. 1979 - present RSMT - Registered Supervisor and Music Therapist by I.C.E.T. - The Israeli Association for Expressive and Creative therapies. 1978 CMT - Certified Music Therapist by the AAMT - American Association for Music Therapy. 1976 Dean's List - Duquesne University, Pittsburgh, PA.
Wiess, C. & Amir, D. (2013). The meaning of group music therapy among teenage girls uprooted from Gush Katif. Mifgash, 21(37), 61-87. (In Hebrew). Amir, D. & Bodner, E. (2013). Music therapy students' reflections on their participation in a music therapy group. Nordic Journal of Music Therapy. Bensimon, M. & Amir, D.(2010).Sharing my music with you: the musical presentation as a tool for exploring, examining and enhancing self-awareness in a group setting. Journal of creative behavior, 44(4). 259-278. Amir, D. (2010). Music centered Music Therapy. Mifgash 32, 9-29. (In Hebrew). Gilboa, A.i; Yehuda, N. & Amir, D. (2009). Let's talk music: A musical-communal project for enhancing communication among students of multi-cultural origin. The Nordic Journal of Music Therapy, 18 (1), 3-31. Amir, D. & Yair, M. (2008). Music Therapy for Children at risk living in residential care. In Susan J. Hadley, (ed.) Qualitative inquiries in music therapy: a monograph series, 4. Gilsum, NH: Barcelona Publishers. Pp113-166. Bensimon, M.; Amir, D. & Wolf, Y. (2008).Drumming through trauma: Music therapy with post traumatic soldiers. The Arts in Psychotherapy, 35 36-48. Bodner, E., & Iancu, I., Gilboa, A., Sarel, A., Mazor, A., & Amir, D. (2007). Finding words for emotions: The reactions of patients with major depression disorder towards various musical excerpts. The Arts in Psychotherapy, 34, 142-150. Bodner, E., Gilboa, A., & Amir, D. (2007). The unexpected side-effects of dissonance. Psychology of Music, 35 (2), 286-305. Gilboa, A.; Bodner, E. & Amir, D. (2006). Emotional communicability in improvised music – the case of music therapists. The Journal of Music Therapy, XLIII (3), 198-225. Amir, D. (2005). Finding one's voice –music therapy with a girl who has Selective Mutism. Nordic Journal for Music Therapy, 14 (1), 67-77. Amir, D. (2005). "Musical humour" in improvisational music therapy. Australian Music Therapy Journal, 16, 3-24. Amir, D. (2004). Giving trauma a voice: the role of improvisational music therapy in exposing, dealing with and healing a traumatic experience of sexual abuse. Music Therapy Perspectives, 22(2), 96-103. Amir D. (2001). Layers of Meaning. Dorit Amir Interviewed by Brynjulf Stige. Nordic Journal of Music Therapy 10 (2). 209-220. Amir, D. (1999). Musical and Verbal Interventions in Music Therapy. The Journal of Music Therapy, 36 (2) 144-175. Amir, D. (1997). 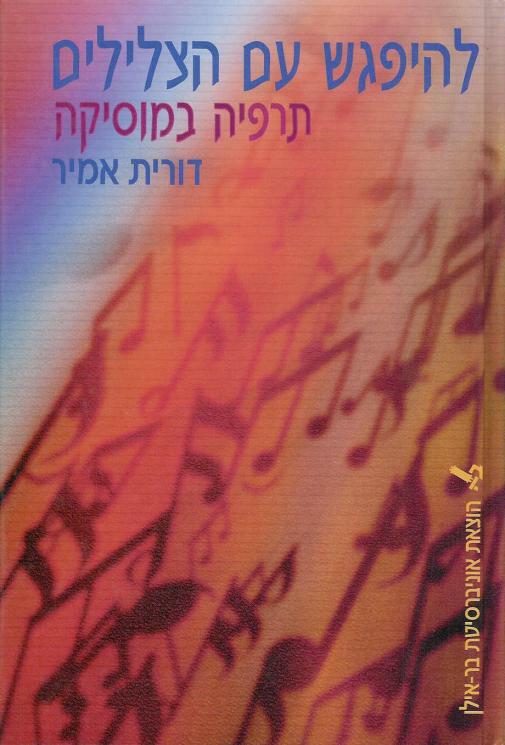 Understanding the Role of Folksongs in Jewish-Israeli Culture: Implications for Music Therapy. The World of Music, 39 (1), 111-127. Amir, D. (1996). Music Therapy – Holistic Model. Music Therapy, 14 (1), 22-31. Amir, D. (1995). Moments of Insight in the Music therapy Process. Music Therapy, 12 (1), 85-101. Amir, D. (1994). Music Therapy in Israel. In Lisa Summer, (Ed. ), Music Therapy International Report, 9. American Association for Music Therapy, 35-37. Amir, D. (1994). Qualitative Research in Music Therapy - Response to Comments. Nordic Journal of Music Therapy, 3 (1), 37-38. Amir, D. (1993). Research in Music Therapy: Quantitative or Qualitative? Nordic Journal of Music Therapy, 2 (2), 3-10. Amir, D. (1993). Music Therapy-Holistic Model. Therapy Through the Arts, 1(2). Tel Aviv, Israel (in Hebrew). Amir D. (1992). Phenomenology as a Basis for Finding Meaning in the Music Therapy Process. Therapy Through the Arts, 1(1). Tel Aviv, Israel (in Hebrew). Amir, D.(1990). A Song is Born: Discovering Meaning in Improvised Songs through a Phenomenological Analysis of Two Music Therapy Sessions with a Traumatic Spinal Cord Injured Young Adult. Music Therapy 9(1). 62-81. Amir, D. (2006). Awakening the "wild woman" – Feministic Music Therapy with women who suffered trauma in their lives. In Susan Hadley, (ed.) "Feminist Voices in Music Therapy." Philadelphia, PA: Barcelona Publishers. Amir, D. (2005). The Therapeutic Value of Musical Elements and Instruments in Western Music Psychotherapy. In T. V. Sairam (ed.) Music Therapy, the Sacred, and the Profane. Chennai, India: Nada Centre for Music Therapy. Pp 4-9. Amir, D. (2005). Grounded Theory. In B. L. Wheeler, (ed.). Music Therapy Research, 2nd Edition. Philadelphia, PA: Barcelona Publishers. Pp 365-378. Amir, D. (2004). Community Music Therapy and the Challenge of Multiculturalism. In G. Ansdel & M. Pavlicevic (eds.) Community Music Therapy. London: JKP. Contemporary Voices in Music Therapy: Communication, Culture, and Community. Amir, D. (1999). Tales from the Therapy Room. In Julie Hibben (ed.). Inside Music Therapy: Client Experiences. Gilsum, NH: Barcelona Publishers, pp267-276. Amir, D. (1998). 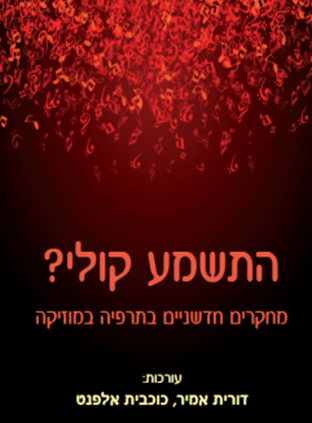 The Use of Israeli Folksongs in Dealing with Women's Bereavement and Loss in Music Therapy. In Ditty Dokter (ed.) Arts Therapies, Refugees and Migrants. Reaching Across Borders. London: Jessica Kingsley Publishers, pp 217-235. Amir, D. (1996). Experiencing Music Therapy: Meaningful Moments in the Music Therapy Process. In Mechtild Langenberg, Kenneth Aigen & Jorge Frommer (eds.) Qualitative Music Therapy Research. Phoenixville, PA: Barcelona Publishers, pp 109-130. Amir, D. (1996). Issues in Qualitative Research - A Personal Journey. In Mechtild Langenberg, Kenneth Aigen & Jorge Frommer (eds.) Qualitative Music Therapy Research. Phoenixville, PA: Barcelona Publishers, pp 213-224. Amir, D. (1995). On Sound, Music, Listening and Music Therapy. In Carolyn Kenny (ed.) Listening, Playing, Creating - Essays on the Power of Sound. New York: SUNY, pp 51-58. "אלתור ויצירתיות בתרפיה במוזיקה בהשראת אנדרה היידו"
Music Therapy: music psychotherapy, music and spirituality, music and humor, music and the holocaust, music therapy supervision, clinical work with traumatized women and PTSD, therapeutic power of musical elements, multicultural aspects of music therapy.